The Arlington Convention and Visitors Service introduced the 2019 Arlington Visitors Guide, Meeting Planner Guide and tear-off pad map Tuesday, distributing initial supplies to attractions as well as the County’s 45 hotels and residential buildings in several neighborhoods. 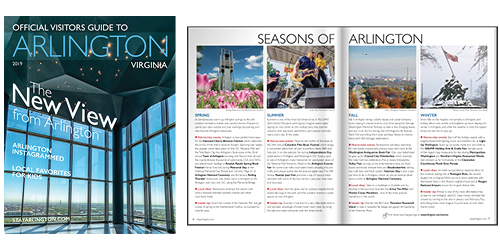 With a sleek, magazine-style cover featuring Arlington’s newest attraction, The Observation Deck at CEB Tower, the guides highlight “The New View from Arlington.” They also include an array of fresh, locally focused features to inspire vacationers and meeting professionals to make Arlington their home base for a capital visit. In addition to the visitors guide content, the Arlington Meeting Planner Guide includes “Venues with Views,” “Sightseeing Between Meetings,” “Only-in-Arlington Experiences” and several other features showing the unique benefits of hosting a meeting or group in Arlington. 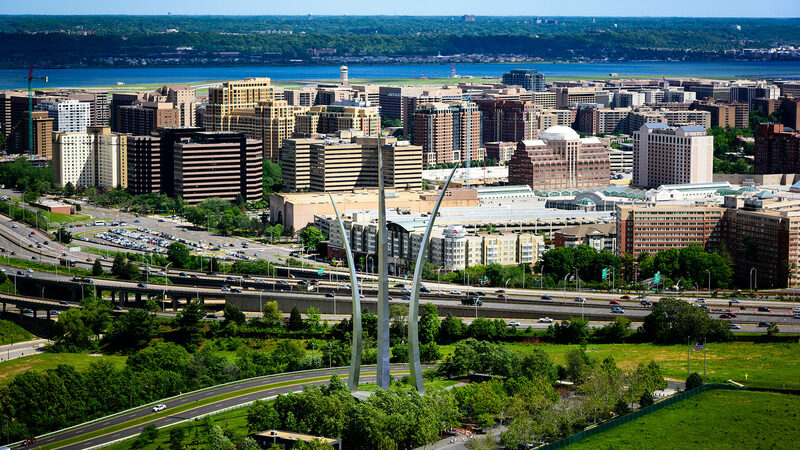 With hotel listings, capital-area attraction and transportation information, and maps of Arlington and the Metro system, the guides are a perfect starting point for visitors to plan an ultimate Arlington/D.C. trip. View or order the Arlington Visitors Guide (including the option to order an Arlington map) and Arlington Meeting Planner Guide on the StayArlington website.